Yesterday was the first warm sunny day since a very long time. It was perfect for a walk in the forest. 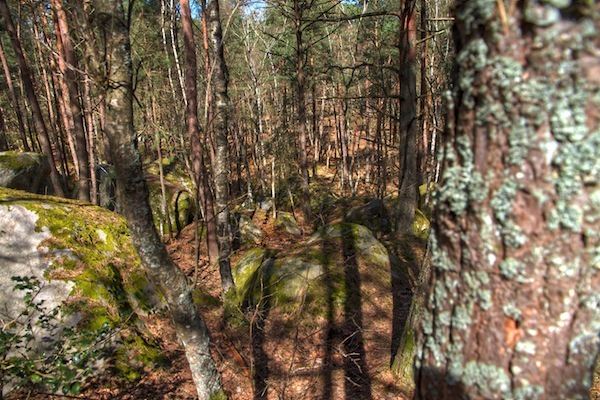 Forest of Fontainebleau is 70kms south of Paris, France and is renown for its rock climbing. So even for a walk, you have to deal with the rocks. The difficulty of a forest is to deal with the shadows. Even with bare trees, you’ll have shadows. 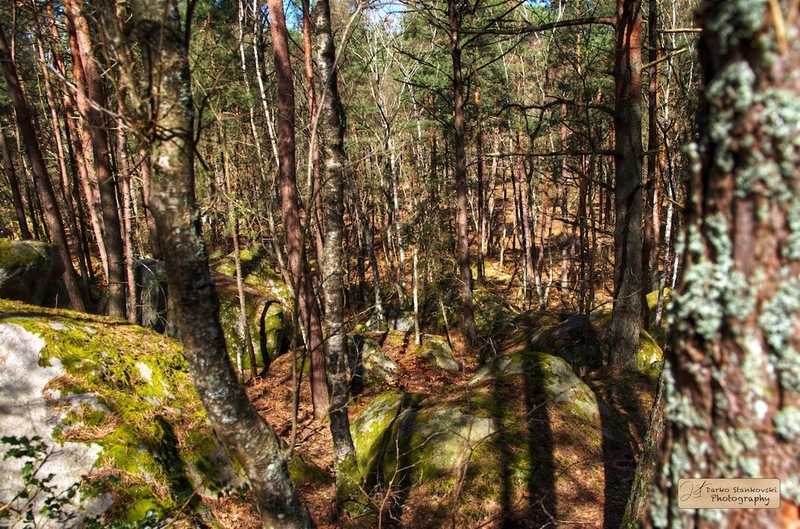 And with such a sunny day, if you want a good exposure of the forest, the sky will certainly be overexposed. So this is another good subject for HDR photography. The image above was processed with LuminanceHDR from 3 shots taken from an handheld camera. As always, I processed them with Mantiuk06, Fattal and Drago and merged the layers in Gimp. This time, the Fattal processing was at the bottom of the stack. Usually I don’t like the Fattal saturated processing, but this time it was sufficient as a processing as you can see below. Forest of Fontainebleau, Fattal processing. I started to take photos with my father's Canon AE-1 as a kid and never rally stopped. I love to explore new techniques and will use this blog to post some tips. I can't really qualify myself as I enjoy landscapes, portraits, stages and toy photography. If you want to stay in touch, you can follow me trough those link. This entry was posted in Photography and tagged Fontainebleau, Forest, Gimp, HDR, Landscape, LuminanceHDR, Spring on April 15, 2013 by Darko Stankovski.